It has digital display which will show the steps, calorie and time. Foldable for easy storage;pedals and bottom base are covered with ABS for extra comfort. 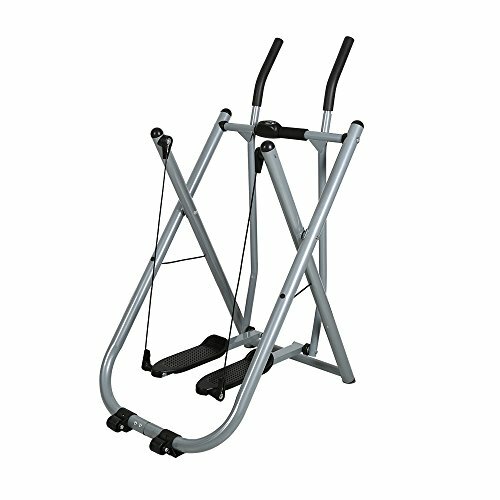 This air walker is good for calories consuming, muscles intensifying. It can be used at indoor, you can exercise & walk without considering weather or time. Get one, Tone every muscle group in your body! BODYBUILDING--Turn anywhere into a fitness place,bring you the feeling of walking in space,you can tone every muscle group in your body by it. STABLE--The ladder uses a triangular stable structure, it will not sway when used, protect your safety. ELECTRONIC DISPLAY--With display which will show the steps, calorie and time. FOLDABLE-- It's easily to close,foldable design will help you save much room. EASY ASSEMBLY--Easy assembly is required based on the included instruction.